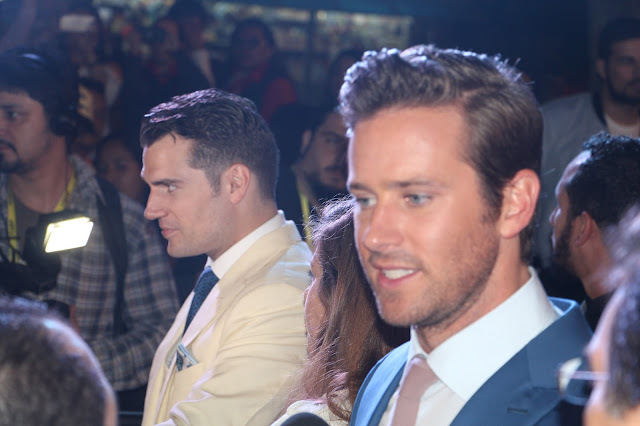 The interviews (and pics) from Brazil keep coming, so we've added a Part 2 to our initial wrap (which you really don't want to miss). In this new interview with Abacaxi, Henry talks about what defines Solo. You also get a bit more of his reaction to that funny fan poster that's been making the rounds online. WATCH. 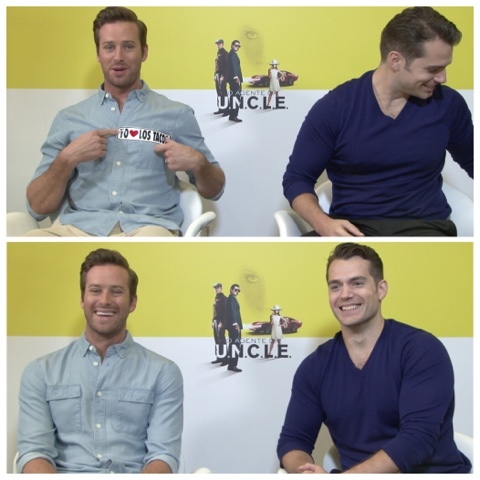 Mexico's Los 40 Principales knew exactly how to surprise Henry and Armie when they talked to them in Brazil. "Everyone loves a good taco." -- WATCH or click on the image below. Cinemaevideo: This clip has the first extended footage we've seen of Henry during the photocall. 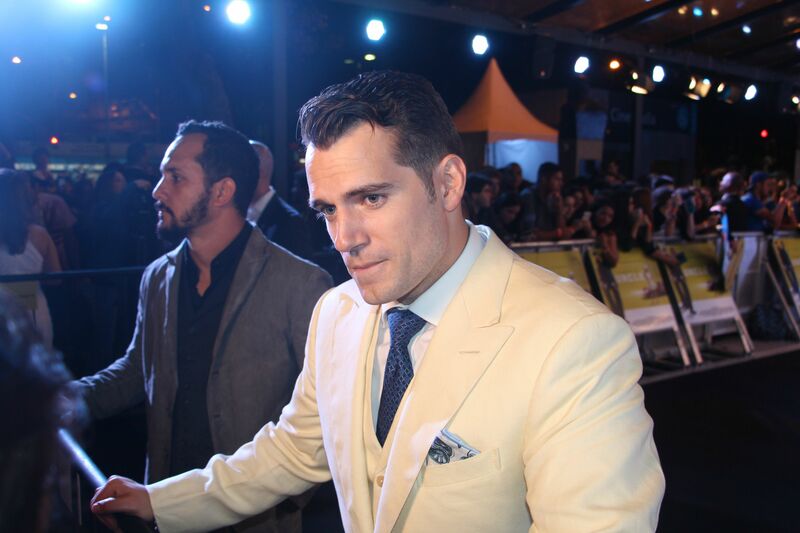 It also includes an interview on the red carpet at the premiere of the film. WATCH. Crackle Brasil: Henry talks about the scene where he did most of his stunts, and the scene in the bathroom where Solo gets into a fight with Illya. WATCH. The Man from U.N.C.L.E. is now out in many countries including Brazil. Go watch it! Great interviews...Thanks for sharing, y'all! 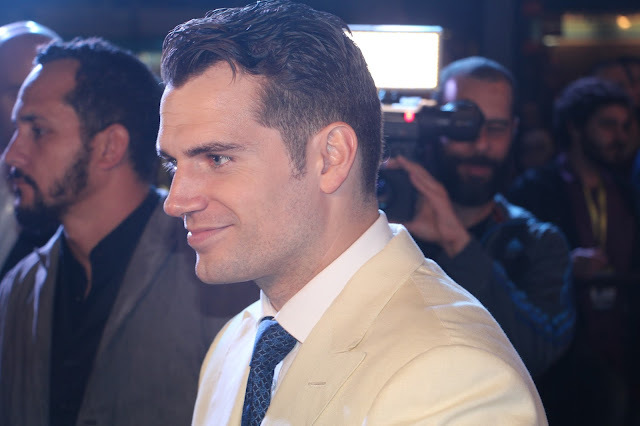 Interesting how the Brazilian reporters pronounce "Warner Bros" just exactly that way!